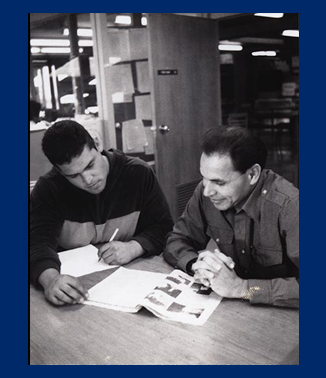 Each week the library features a picture from the Gavilan Archives. 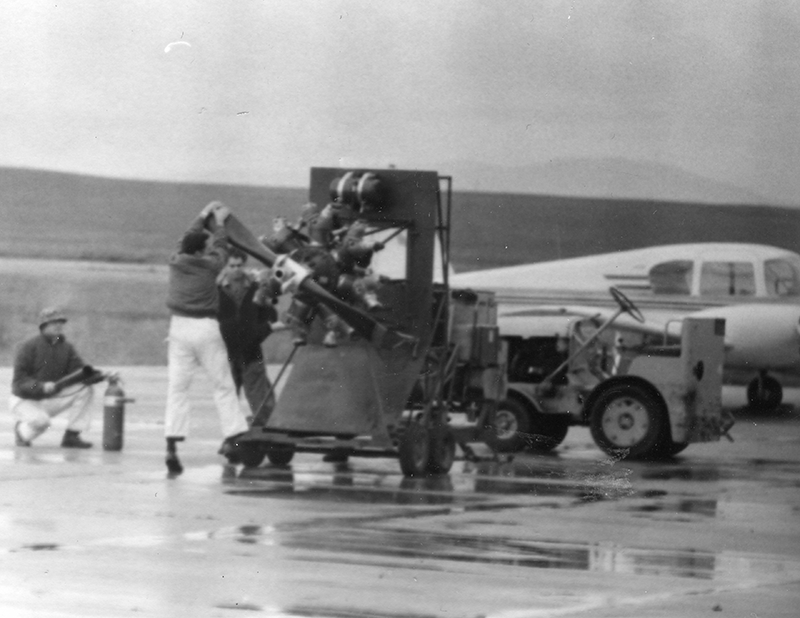 In many cases we don't know who is in the picture or when it was taken. If you have information to contribute please use our feedback form to let us know. 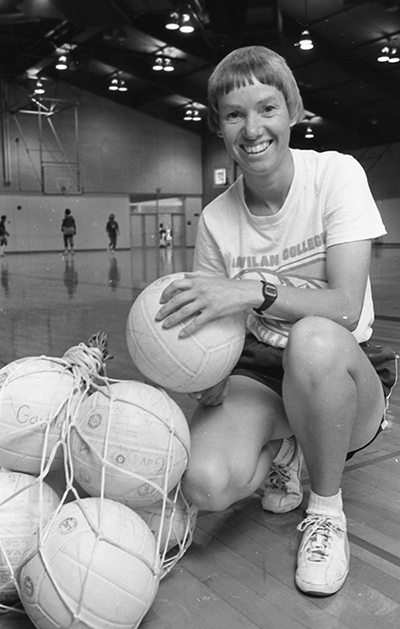 Many people correctly identified Susan Dodd, retired Kinesiology instructor, former Athletic Director, basketball coach, football coach and more in her time at Gavilan. 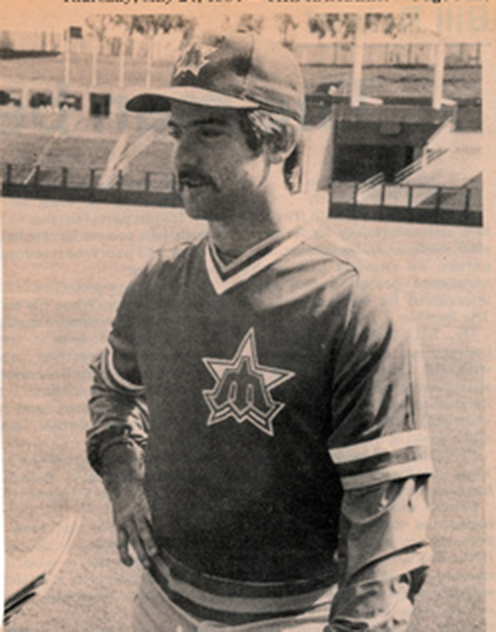 This is recently retired Counselor/Faculty member Jesse Olivas. 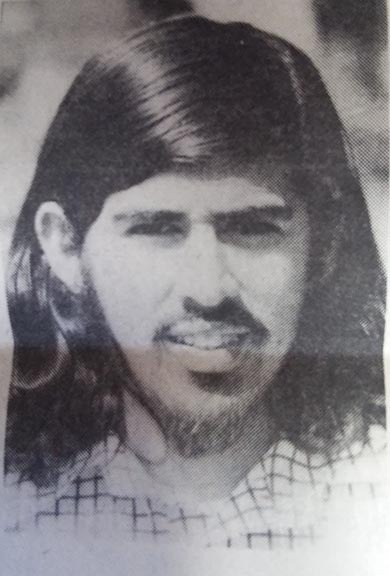 The student has not been identified as yet. 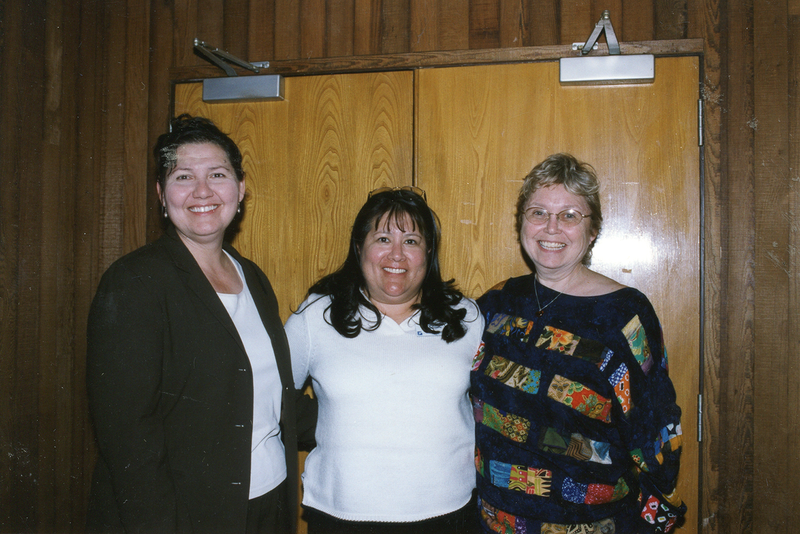 Pictured left to right: Natalie Juarez, Rosalie Worthey and Sofia Moreno. Natalie still helps keep the Hollister site organized. Sofia can be found at Reprographics. Angie Oropeza, from the President's office, is pictured here. 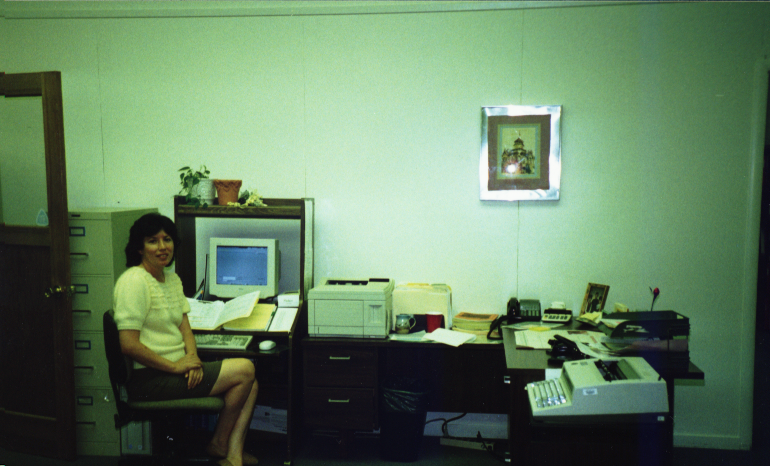 Angie says this was taken sometime in the 90s when she worked for EOPS. 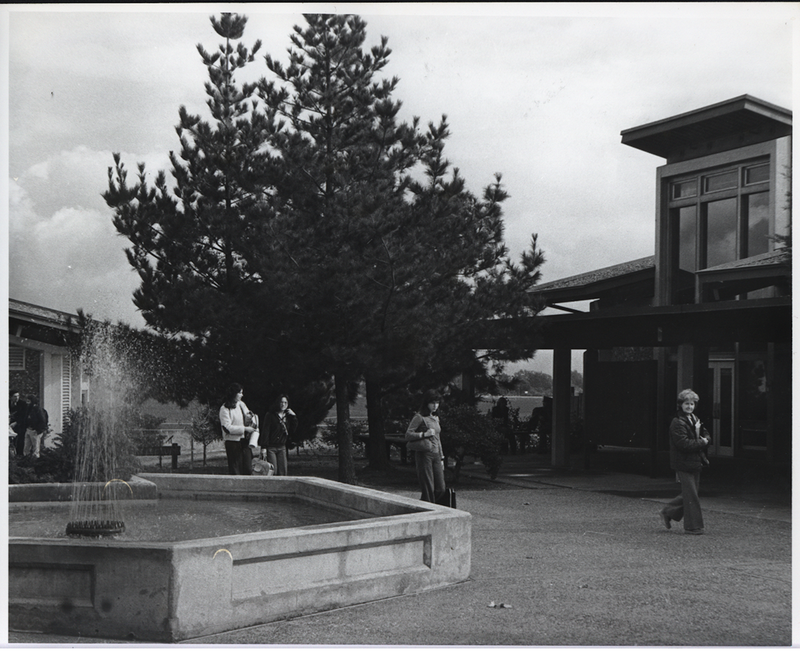 This fountain was located in the Art/Theater quad some time in the 70s. The enclosure is still there but is now a planter. 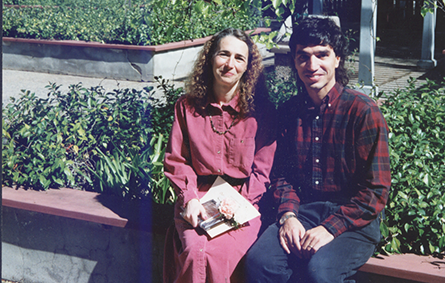 This is Marlene Dwyer, retired math instructor, and Ken Wagman, math instructor. Taken some time in the 90s. Pictured here is Mimi Arvizu from MIS. 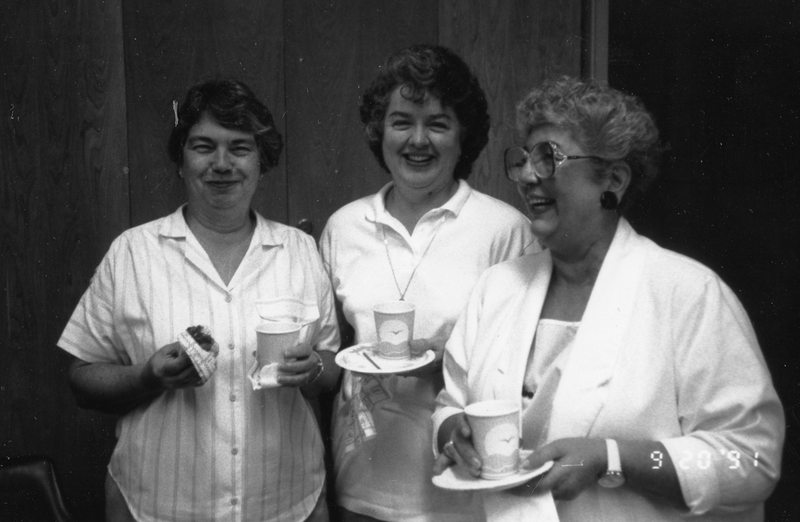 This picture was taken in the 80s when MIS was located in an office in the Library building. Notice the computer tapes in the background? 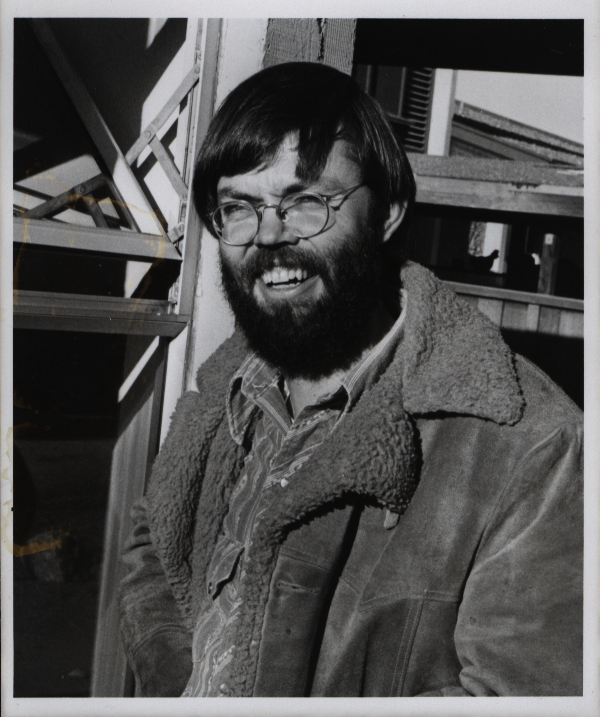 This is Trustee Kent Childs from the early 70s when he taught Art. Most feedback located this as the kiln area behind the art building. 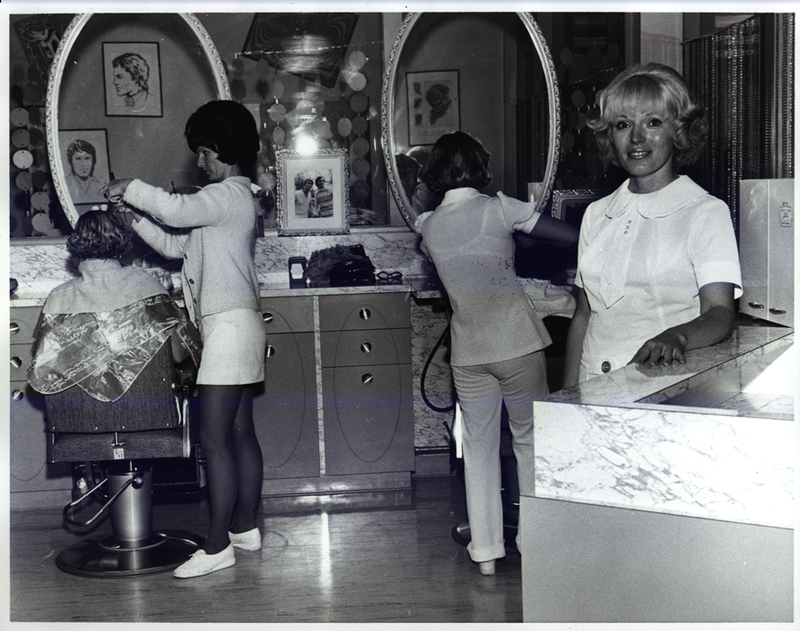 The cosmetology staff helped date this photo as some time in the early to mid 70s. 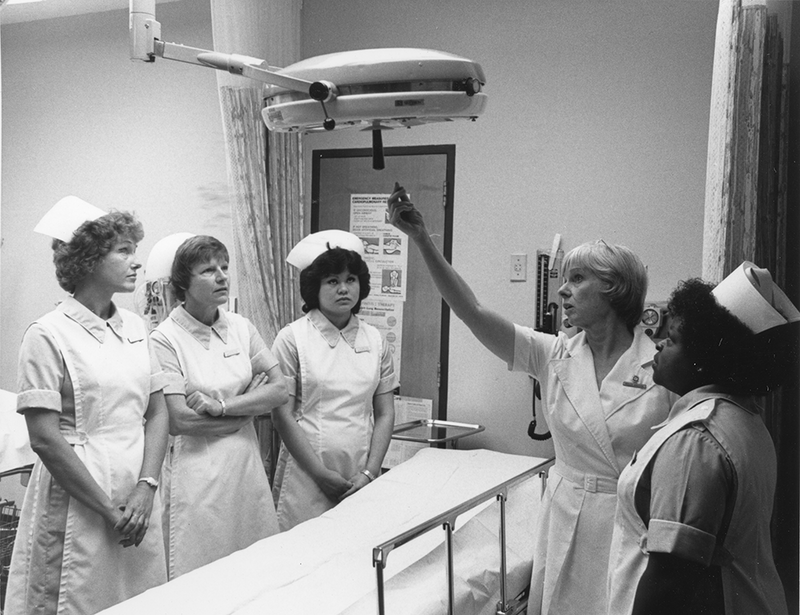 The student on the right has been identified as Betty. Pictured left to right: Pat Freitas, Karen Fortino? and Viola Carr. 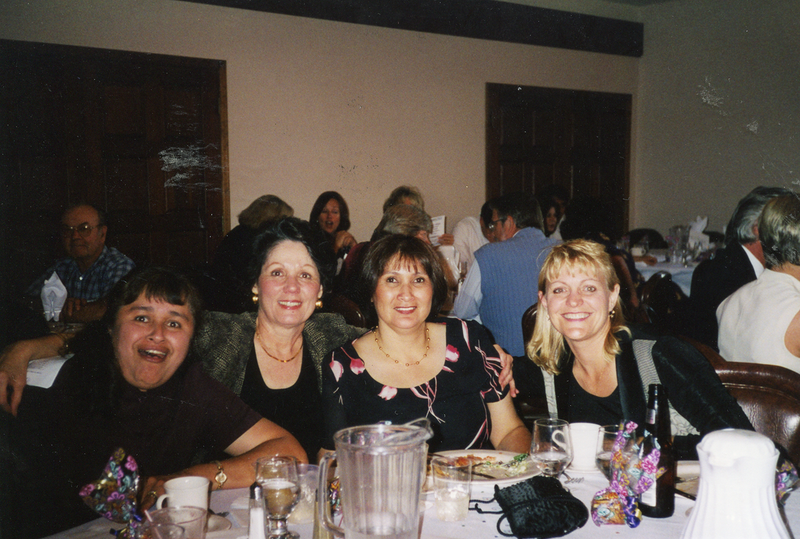 These were the ladies from the Business office. If the name Carr seems familiar that is because Viola is mother to our Dean of Career Technical Education, Sherrean Carr. 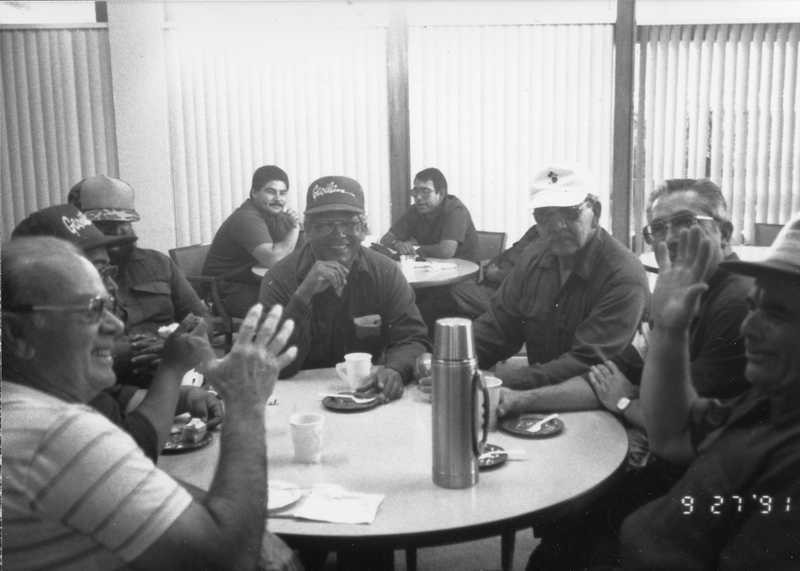 Pictured left to right: Members of the Facilities team, Roger Pryor, Roger Garcia, Mike Pedregon, Art Martinez, Danny Maquenles, Tony Pedregon, Jess Vargas, Mario Cardinas and Luis DeLeon. Thanks to Mike Pedregon and Duane Stewart for stopping by and helping with the names! 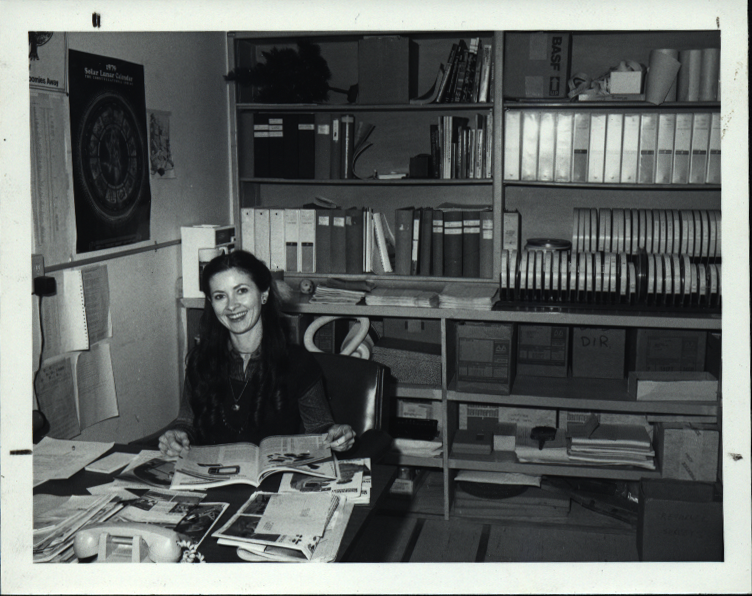 This is JoAnne Howell when she was our Reference Librarian. 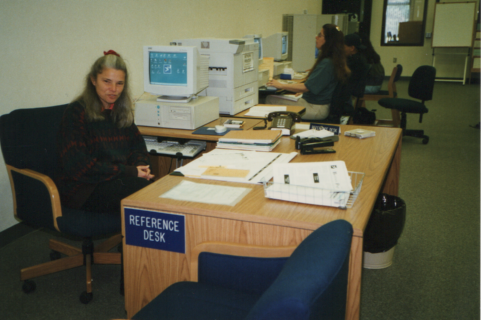 The "where" answer is clearly this is the reference desk but it was in what is now the Computer Place. 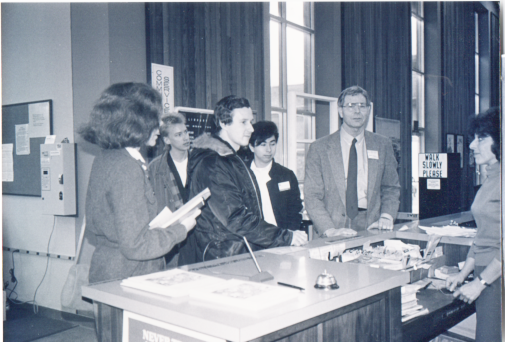 When the library building was initially expanded the reference librarian and the periodicals were located there. 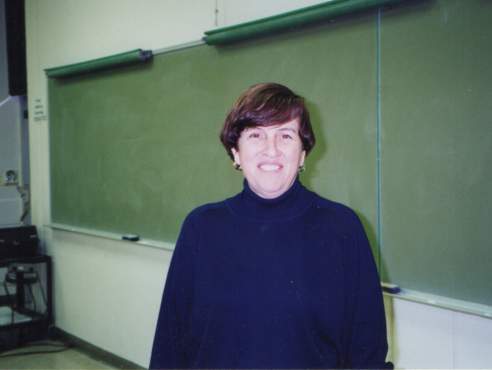 JoAnne, now retired but still teaching part time, went on to be the college's first Distance Education Coordinator. This is Steve Kinsella, our college president. 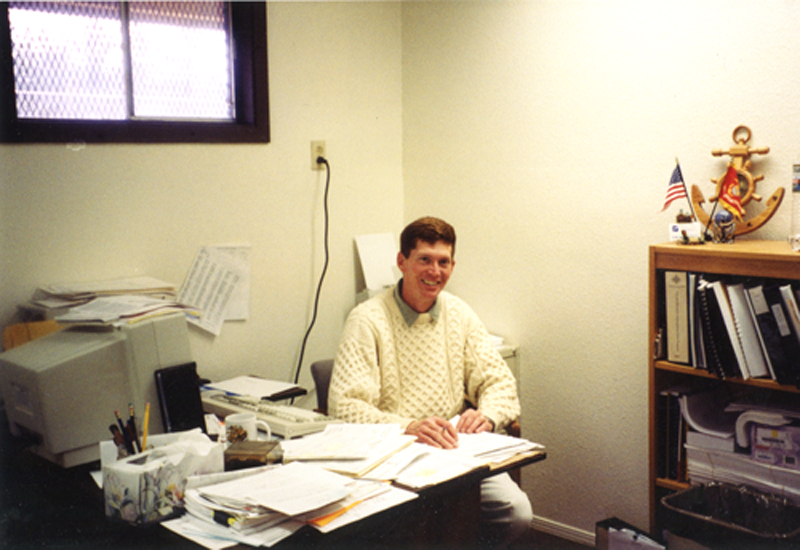 The when and where is late 90s, when working as the Dean of Business Services, in one of the buildings that now house the Community Education program. 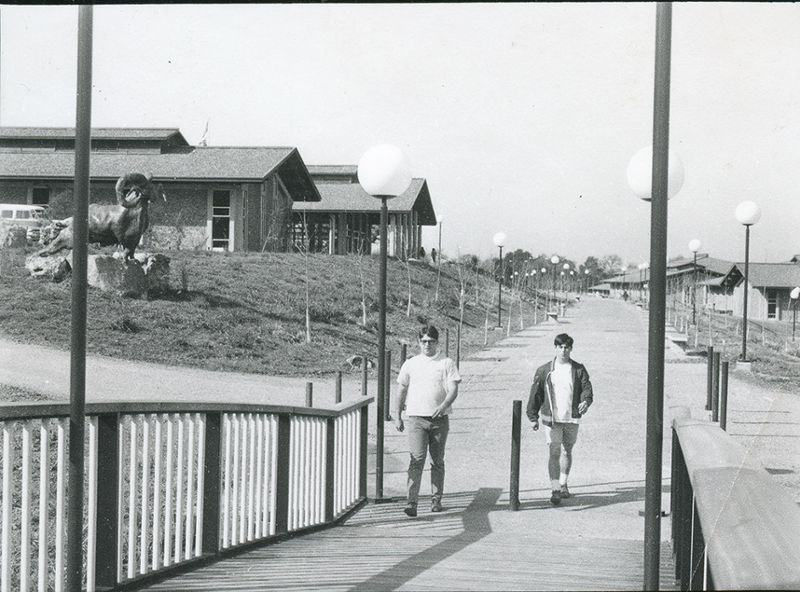 Pictured here is Sycamore Lane as it was when the campus was new in the late 1960s. We asked what is different today? Take note of the Ram statue that was taken down in 2004 and there are no structures beyond the student center. 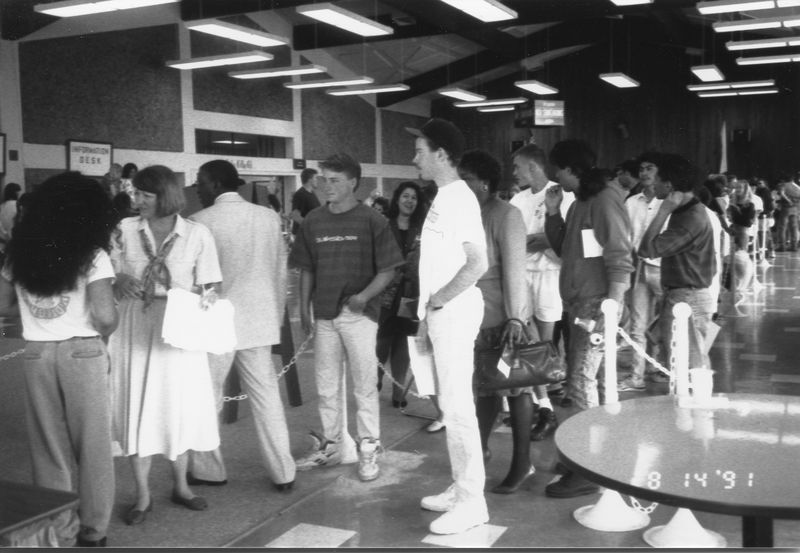 This is what the registration process looked like in 1991. Everything was set up in the Student Center. 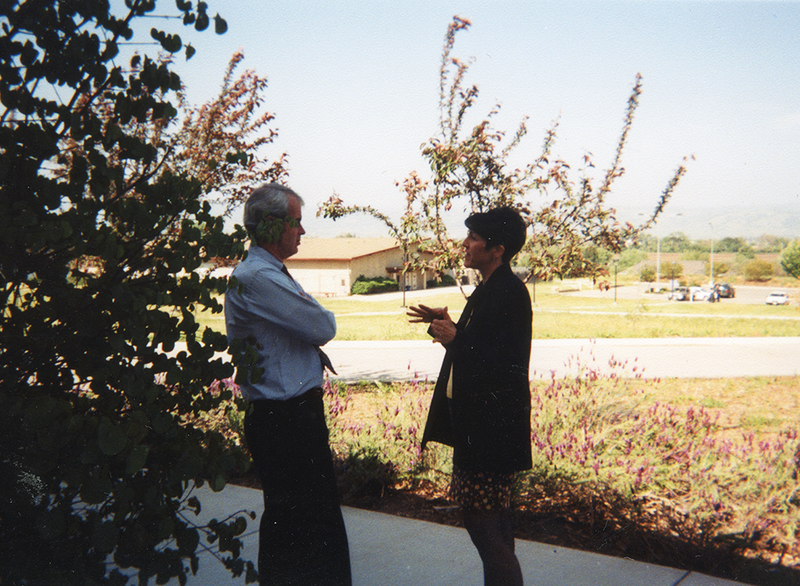 The feedback we received identified Joy Parker, Gavilan's now retired Registrar, and Dr. T.J. Owens, former Gavilan Dean of Students, with his back to the camera. 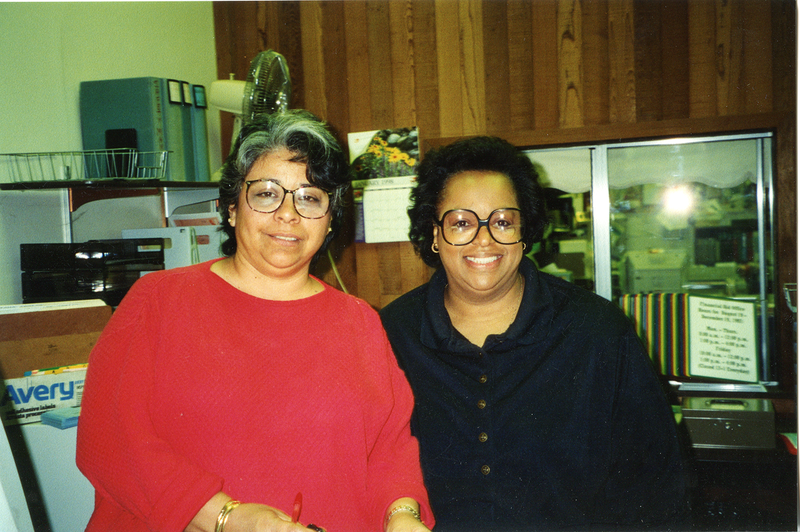 These ladies are Anjelica Garcia and Roz Rollins from Admissions and Registration. If you look at the calendar in the background you will see that this picture was taken in January of 1998. 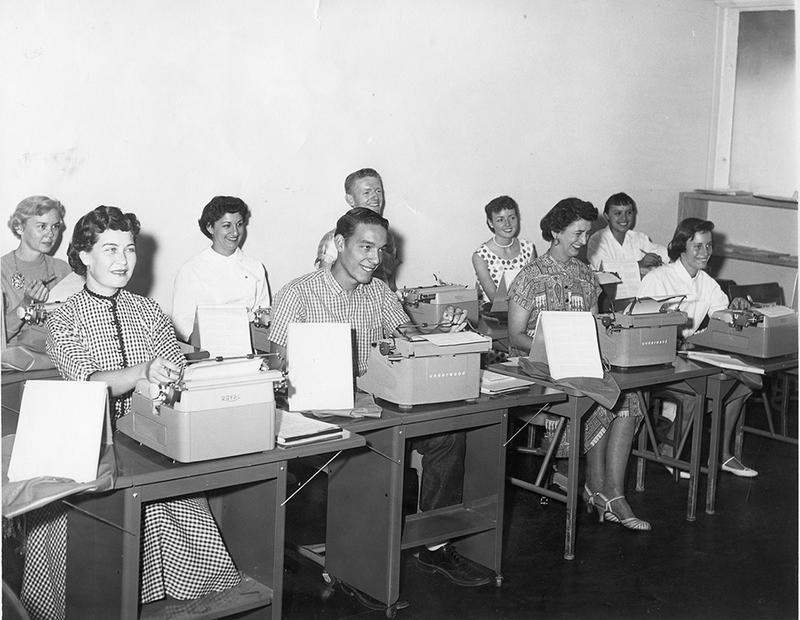 This seems to be a typing class from the 50s or 60s. The typewriters are manual Underwoods and Royals. 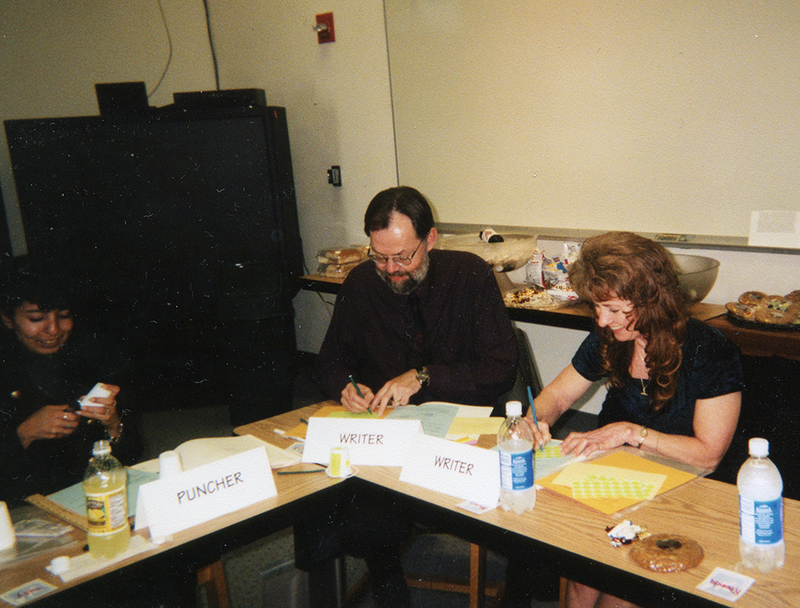 At that time this classroom would have been at the Hollister location. 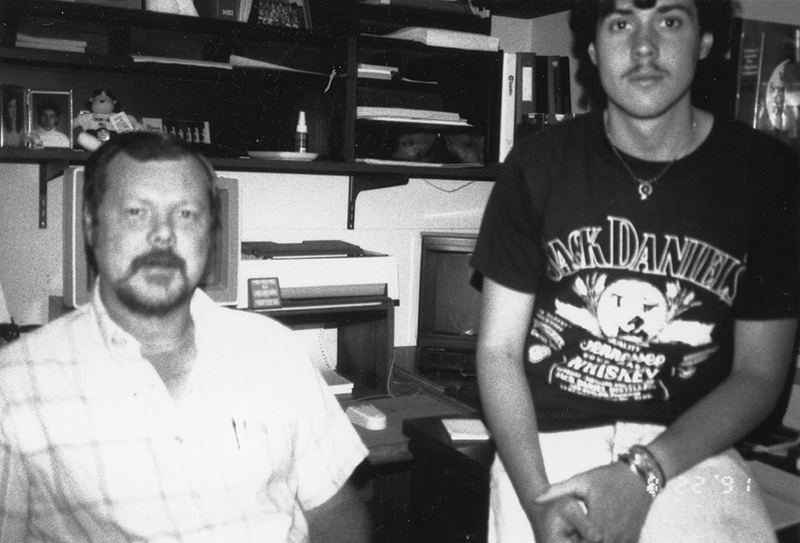 This week's picture featured a former Gavilan English instructor, Jack Richards, on the left, and a current Gavilan English instructor, Grant Richards, on the right. Grant and the two young ladies, names currently unknown, had just been elected as officers of ASB. This is a picture of Horning Plaza, the courtyard behind the library. 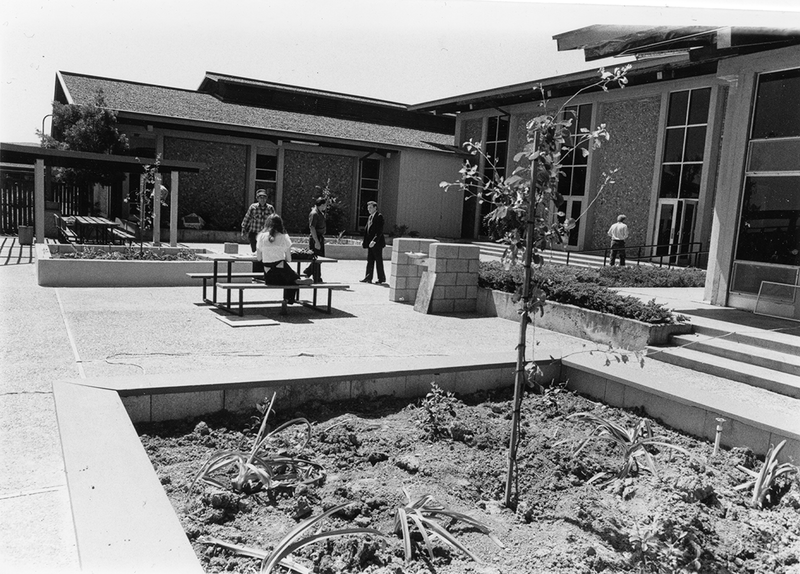 The picture was taken sometime in the 1970s The newly planted landscaping was designed and paid for by the Gavilan Associated Student Body. Pictured here are Ed Loeser and his student assistant. 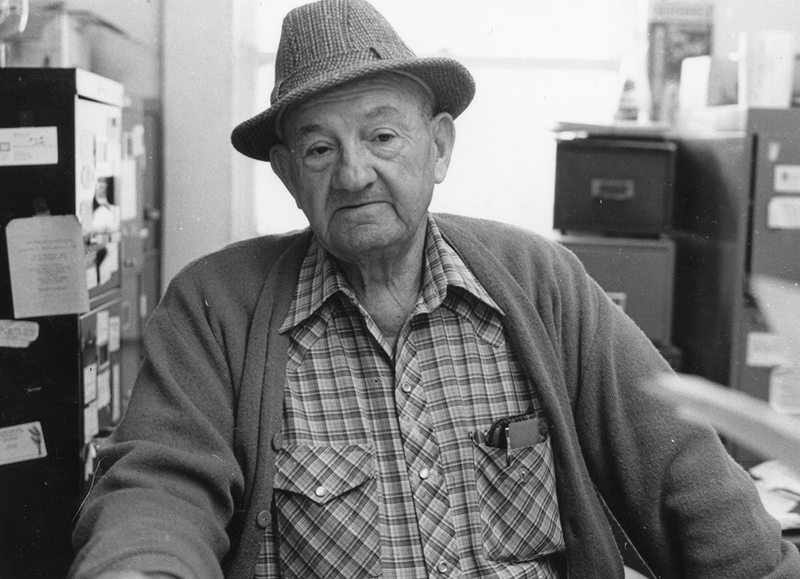 Ed was the college media services department for many years. 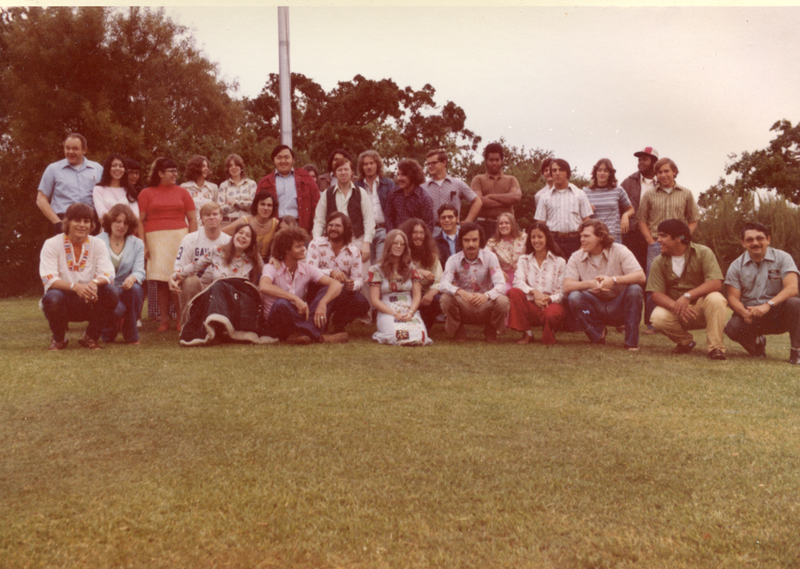 This is Fran Lozano, Dean of Arts and Sciences, when she was an English instructor. 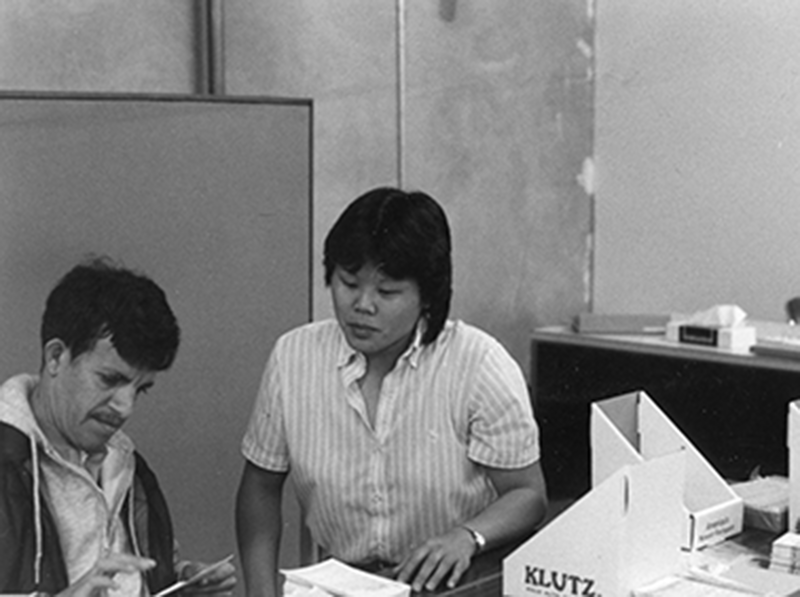 Many people responded that this must have been when she taught in the Humanities building. 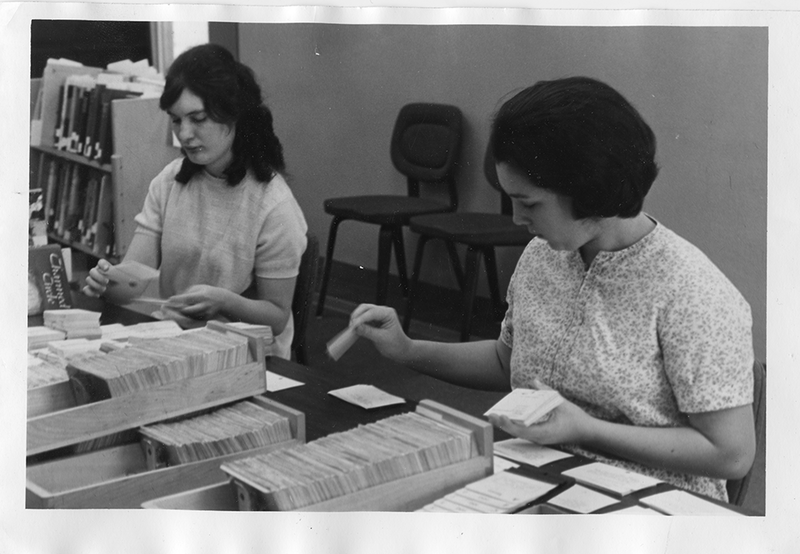 These ladies are working in the Library filing card catalog cards for newly acquired books. After the photo posted in Week10 we got questions about the Ram statue. Click on the thumbnail to see what we found out. Information for this picture was sketchy. 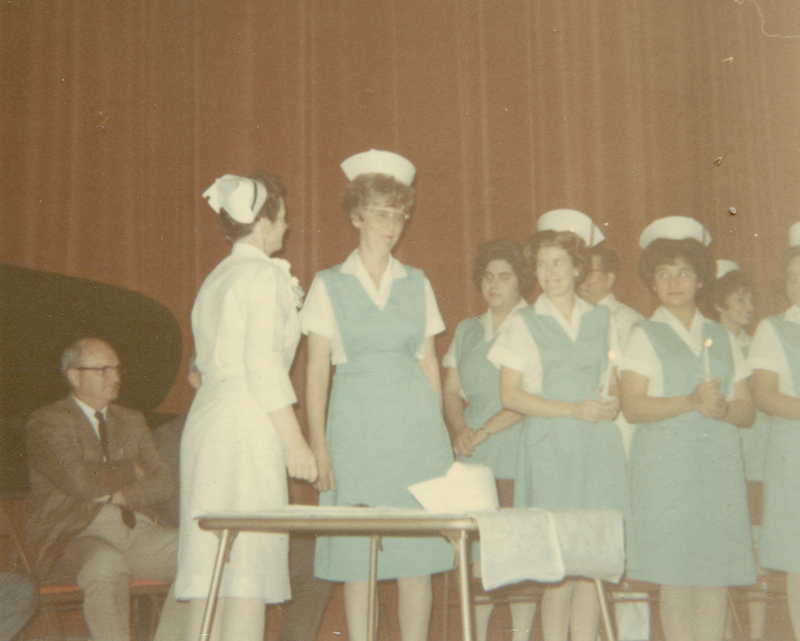 These are nursing students but we didn't get any names or a location. If you can contribute any information please let us know! 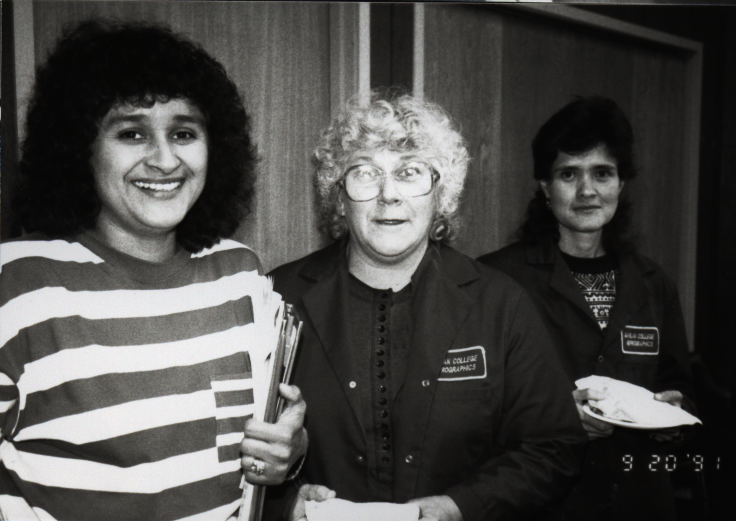 This is EOPS counselor Blanca Arteaga when she was a student here at Gavilan. This was a Cinco De Mayo celebration. 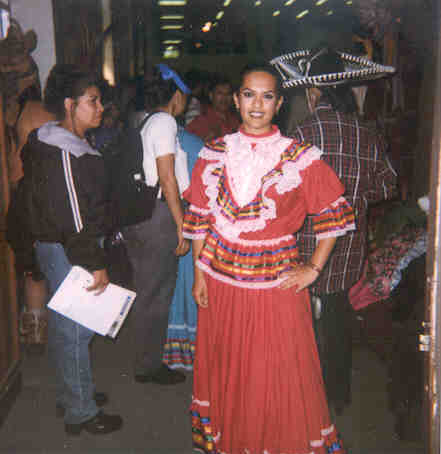 She was participating as part of a Folklorico dance class. 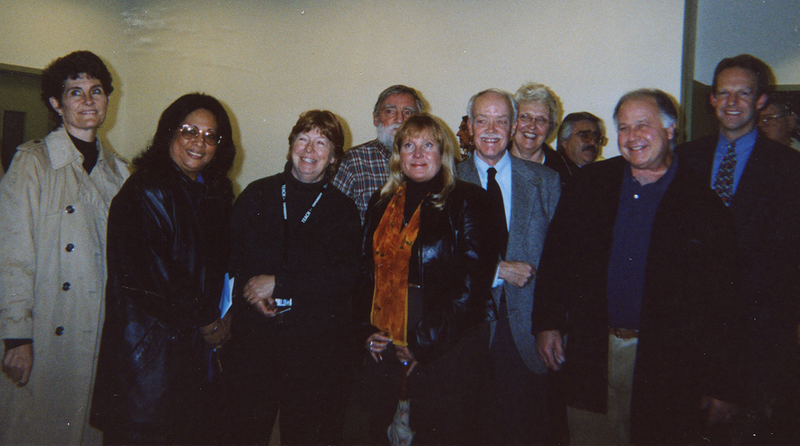 This group is gathered at the opening of the Morgan Hill site in the spring of 1997. 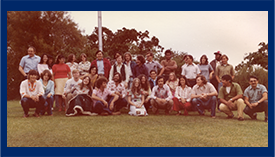 Pictured l to r, Mary Ann Sanidad, Marilyn Abad-Cardinalli, Marlene Bumgarner, Dennie Van Tassel, ?, Bob Funk, Jean Meehan, ?, Bob Beede and Larry Carr. 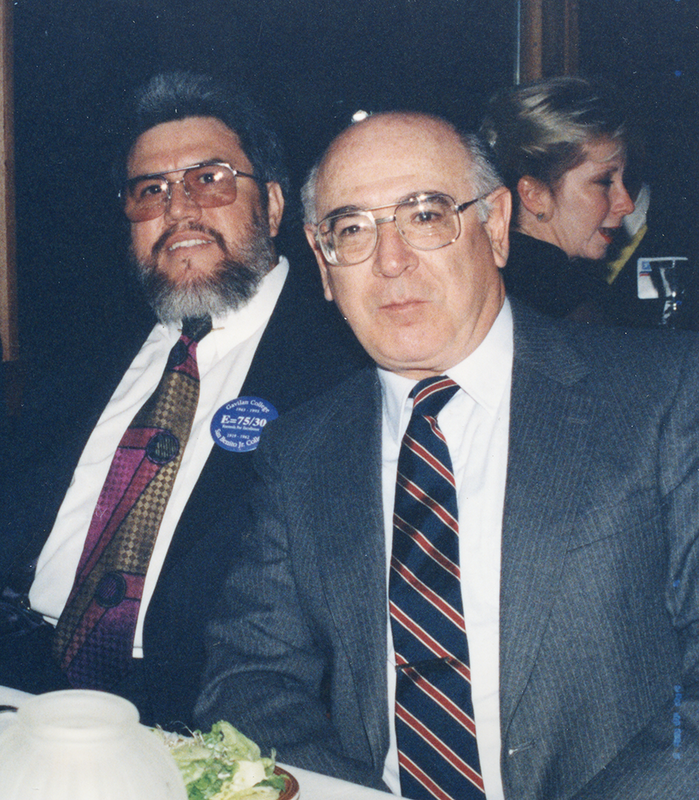 Pictured here are current faculty member Gary Cribb and retired faculty librarian Ed Alazraqui in 1993. 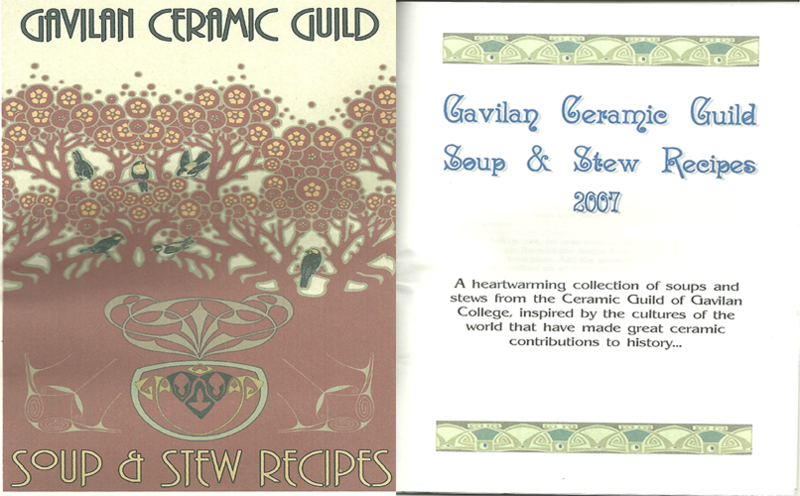 The event was the celebration of the 75th year of the college and 30th year as Gavilan College. 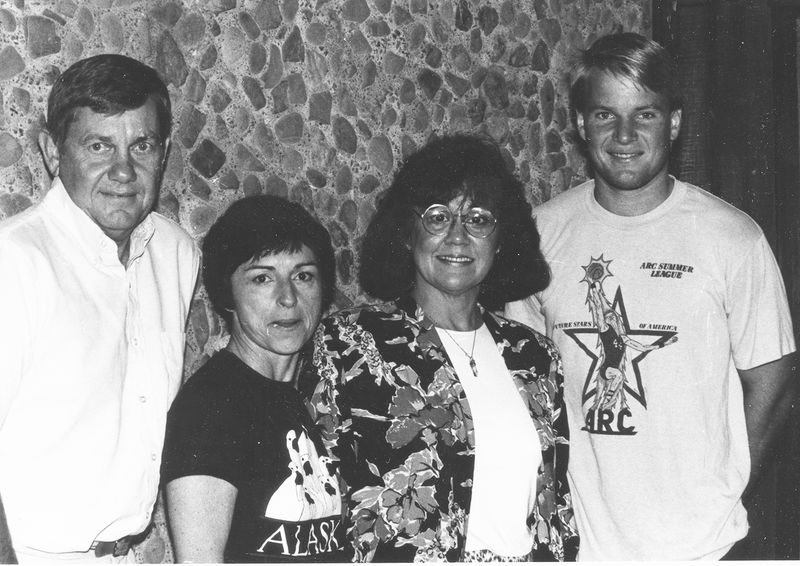 Hollywood came to Gavilan in 1980(?) 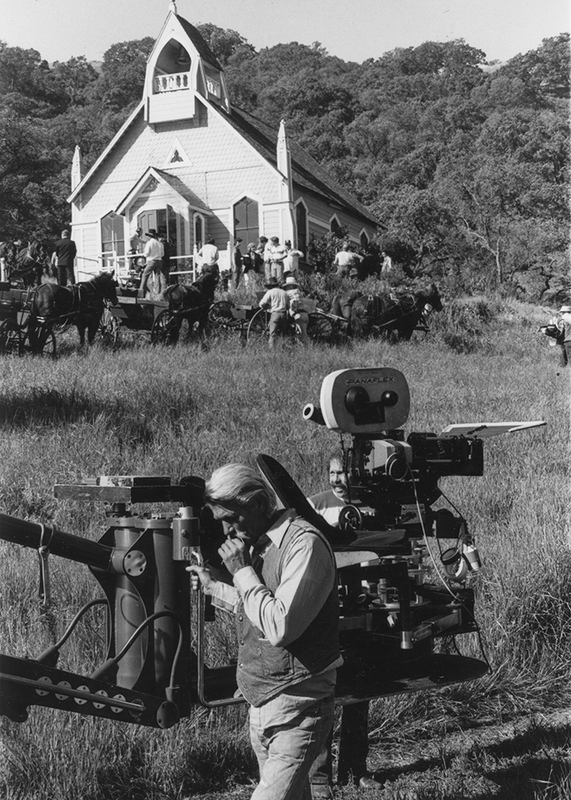 The chapel was used in a funeral scene in the East of Eden mini-series. 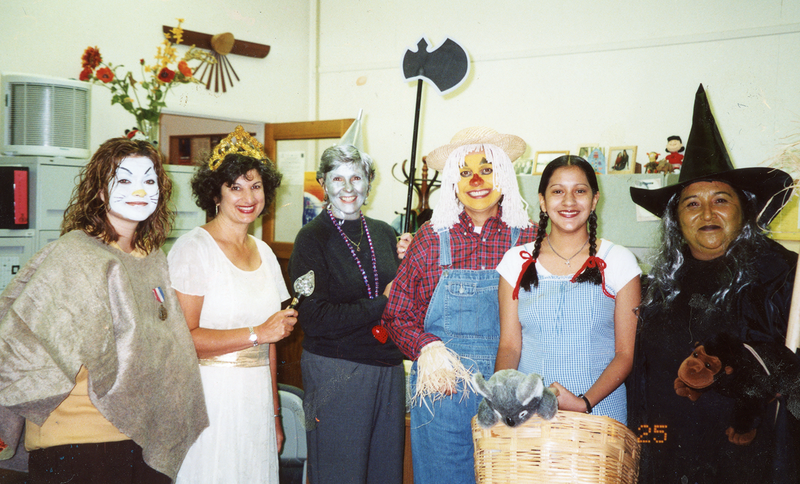 Several Gavilan folk were used as extras in the production. Look close. 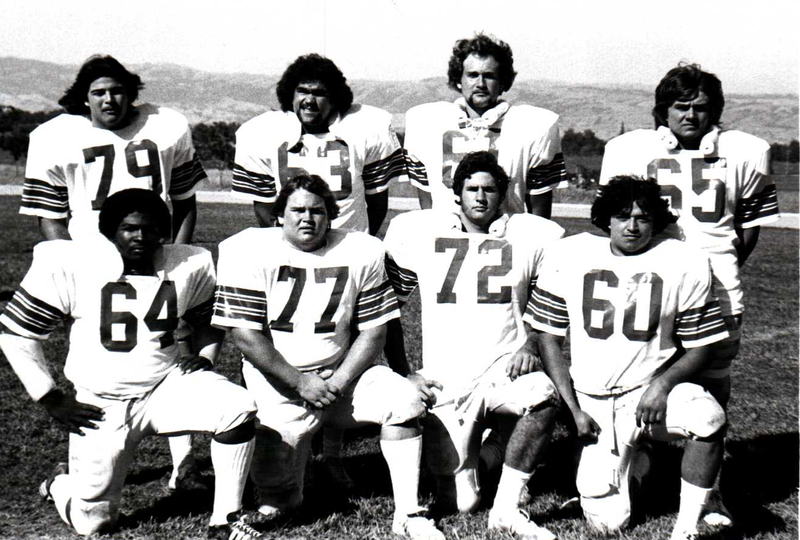 #60 is Cosmetology instructor Gilbert Ramirez when he was on the Gavilan football team in 198? 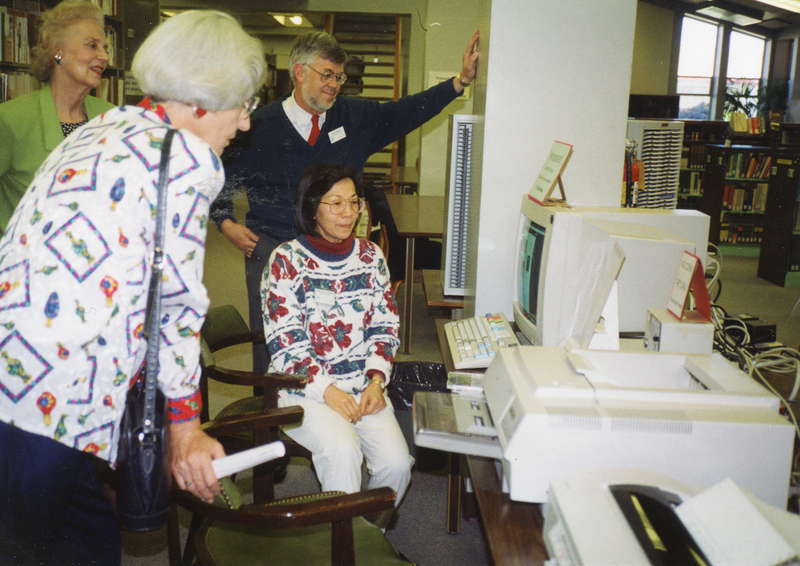 Shuk Chun Au Yeung demonstrating a modern cd based search system for finding articles in the early 1990s.